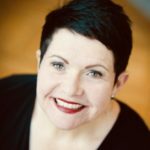 Australian born soprano Sharon Kempton, completed Bachelor of Music and Master of Music degrees at the University of Melbourne. The recipient of many prestigious prizes including the German Operatic Award (2001) and the German Australian Opera Grant (2003), Sharon embarked on her European career as a member of the Cologne Opera Studio, Germany, followed by an eleven year engagement as soloist at the State Theatre in Wiesbaden, Hessen. Sharon is now engaged across Europe as a freelance Artist. Sharon has performed with Köln Oper, Staatstheater Wiesbaden, Staatstheater Nürnberg, Aalto Musik Theater Essen, Staatstheater Braunschweig, Theater Erfurt, Staatstheater Kassel, Theater Ulm, Nationaltheater Mannheim, Theater Osnabrück and Saarländisches Staatstheater, in Saarbrücken. She has debuted and performed forty operatic roles. Her extensive repertoire encompasses the genres of early Baroque, Classical and Romantic through to modern operatic works. In January of this year she debuted as Elisabeth in Erik-Uwe Laufenberg’s production of Tannhäuser in Wiesbaden. Most recently Sharon was acclaimed for her performance as Gräfin de La Roche in Staatstheater Nürnberg’s production of Die Soldaten by Bernd Alois Zimmermann directed by Peter Konwitschny, with musical direction by Markus Bosch, and in Oper Köln’s production of the same operatic work directed by Carlus Padrissa, under the baton of Francois Roth.